Eli Lilly and Company and Merck, known as MSD outside the United States and Canada, today announced the extension of an existing collaboration to evaluate the safety and efficacy of the combination of Lilly's ALIMTA (pemetrexed for injection) and Merck's KEYTRUDA (pembrolizumab) in a pivotal Phase III study in first-line nonsquamous non-small cell lung cancer (NSCLC). MTG Biotherapeutics, an immuno-oncology company developing novel therapeutics for the treatment of cancer, today announced that the US Food and Drug Administration has granted Orphan Drug Designation for MTG-201, an advanced biologic therapy targeting Dickkopf-3 gene defects in various cancers, for the treatment of malignant mesothelioma. Eli Lilly and Company today announced that the Court of Appeal has ruled that the Alimta® (pemetrexed disodium) vitamin regimen patent would be indirectly infringed by a generic competitor that had stated its intent to market certain alternative salt forms of pemetrexed in the United Kingdom prior to the UK patent's expiration in June 2021. Mesothelioma.us, an educational and authoritative website that offers free and in-depth resources for mesothelioma patients and their families, has just released a new case study that focuses on the experimental treatments for the disease. Eli Lilly and Company announced final results of the Phase III PROCLAIM trial that will also be discussed in an oral presentation at the American Society of Clinical Oncology (ASCO) Annual Meeting in Chicago. After a period of relative stability, a glut of patent expiries is just five years away for the oncology market, according to pharmaceutical analyst Datamonitor Healthcare. As a woman in her mid-forties who didn't smoke, Elizabeth Lacasia never expected to be diagnosed with lung cancer. But in 2006, after she developed a persistent and serious cough, a chest X-ray and CT scan revealed several tumors in her lower left lung. Eli Lilly and Company today announced new data from two Phase II ramucirumab (IMC-1121B) trials in patients with non-small cell lung cancer (NSCLC). OncoMed Pharmaceuticals, Inc., a clinical-stage company developing novel therapeutics that target cancer, today announced the online publication in Clinical Cancer Research of preclinical data demonstrating the potent anti-cancer activity of anti-DLL4 (demcizumab) in patient-derived pancreatic tumor models. Final results from PARAMOUNT, a Phase III study of ALIMTA (pemetrexed for injection) in the continuation maintenance setting, demonstrated improved overall survival in patients with advanced nonsquamous non-small cell lung cancer (NSCLC) treated with ALIMTA continuation maintenance, according to data announced today by Eli Lilly and Company. Eli Lilly and Company will present data from more than 25 studies at the 48th Annual Meeting of the American Society of Clinical Oncology (ASCO) in Chicago, Ill. from June 1 – 5, 2012, including overall survival results from PARAMOUNT, a Phase III study of an ALIMTA (pemetrexed for injection)-based continuation maintenance regimen for the treatment of advanced nonsquamous non-small cell lung cancer. Lung cancer, the leading cause of cancer death in the U.S., takes a particularly heavy toll on African Americans. Despite their lower smoking rates, African Americans are more likely than Caucasians to develop and die from lung cancer. Patients with ALK-rearranged non-small cell lung cancer (NSCLC) responded significantly better to pemetrexed than patients whose cancer did not show ALK translocation, according to research published in the September issue of the Journal of Thoracic Oncology, the official publication of the International Association for the Study of Lung Cancer. Synta Pharmaceuticals Corp. today presented five posters at the American Association for Cancer Research 102nd Annual Meeting. Three posters reported results from studies of ganetespib, and two posters reported results from studies of elesclomol, a small-molecule mitochondria metabolism inhibitor. 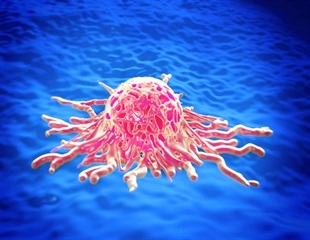 A discovery at University of Colorado Cancer Center shows testing lung cancer on a molecular level can produce new insights into this deadly disease. Eli Lilly and Company and Bristol-Myers Squibb Company announced today that they have stopped enrollment in one of their two global Phase III studies evaluating necitumumab, an investigational anti-cancer agent, as a first-line treatment for advanced non-small cell lung cancer (NSCLC). Eli Lilly and Company announced today that its global Phase III trial evaluating ALIMTA (pemetrexed for injection) in combination with cisplatin in patients with recurrent or metastatic squamous cell cancer of the head and neck (SCCHN) did not meet its primary endpoint for overall survival. Data were presented for the first time today at the 35th Annual Meeting of the European Society for Medical Oncology (ESMO). Novocure reported today that patients with advanced non-small cell lung cancer (NSCLC) achieved a significant increase in survival time when tumor treating fields (TTF) therapy was added to chemotherapy, as compared to previously reported outcomes for patients receiving chemotherapy alone. Decision Resources, one of the world's leading research and advisory firms for pharmaceutical and healthcare issues finds that the non-small-cell lung cancer (NSCLC) drug market will increase from approximately $4 billion in 2009 to more than $6.5 billion in 2019 in the United States, France, Germany, Italy, Spain, United Kingdom and Japan.